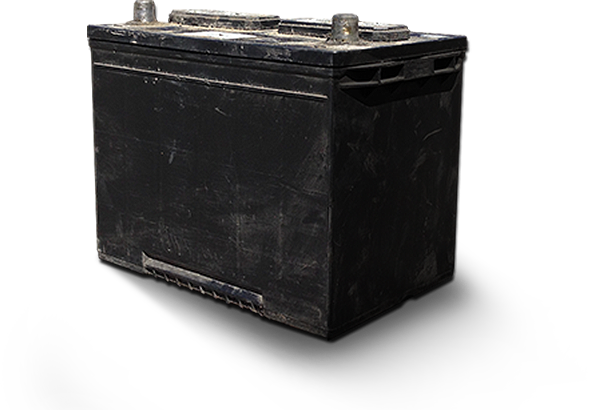 Recycling old batteries reduces waste, and since up to 99 percent of a lead-acid battery is recyclable, it also reduces the need to use new raw materials and components. Instead of keeping your old battery, be sure it gets recycled by leaving it with the counterperson when you purchase a replacement, or by dropping it off at any local battery retailer. Automotive retailers will usually provide a credit for your used battery when you purchase a new one. Follow all safety precautions when handling your old battery. For additional information on recycling your battery or to find a recycling location near you, visit www.recyclingmybattery.com. To begin the recycling process, used batteries are collected from drop-off locations and transported to recycling centers. There, the lead is separated from the polypropylene (plastic case) and fed into a furnace to be melted down. The lead is then reused to manufacture new batteries. The polypropylene is washed and also recycled. Lastly, acid is treated and neutralized. New automotive batteries are typically made with up to 80 percent recycled materials. 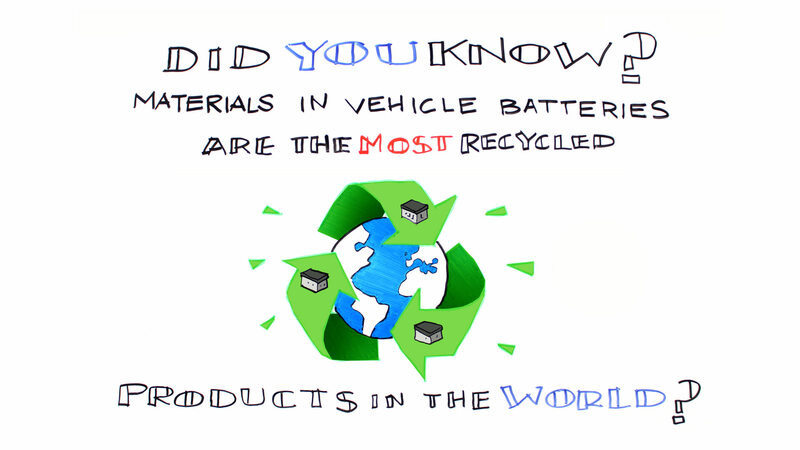 Learn more about why vehicle batteries are the most recycled consumer product in the world.